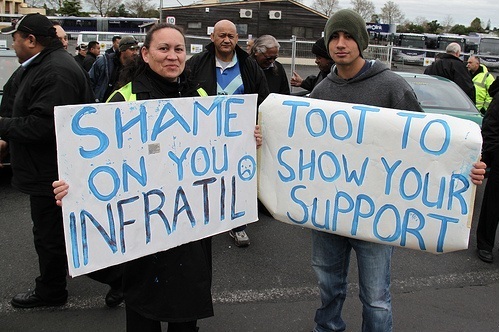 At a mass meeting Auckland bus drivers working for NZ Bus Ltd had thrown out a pay deal recommended to them by the First Union and the Tramways Union, and the drivers were set to strike on Monday, September 24, and every Monday thereafter. Every socialist and trade unionist should be aware of what happened next and of the full story of the drivers’ dispute so far. It shows precisely what is wrong with the union movement at the moment and where hope lies.